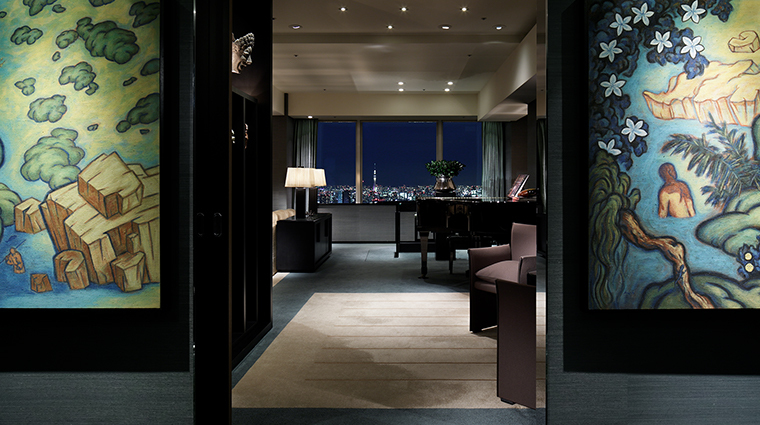 Park Hyatt Tokyo, made famous in Sophia Coppola’s hit indie flick Lost in Translation, has been a luxurious mainstay for international travelers for more than 20 years. 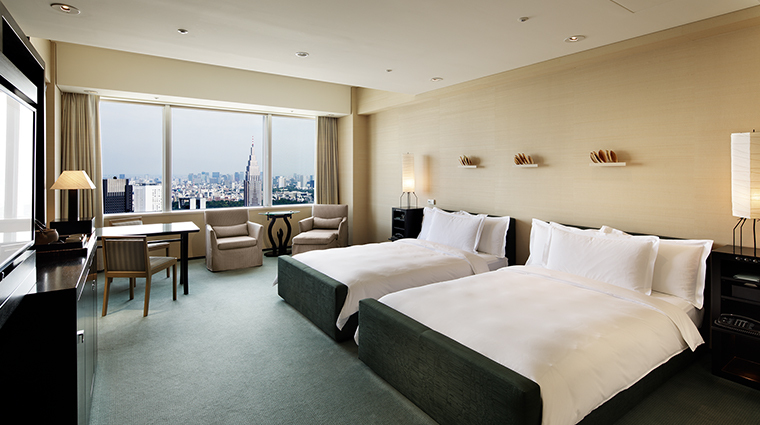 Located in the heart of the Shinjuku district, the hotel towers above a busy city like an elevated oasis of total refinement. 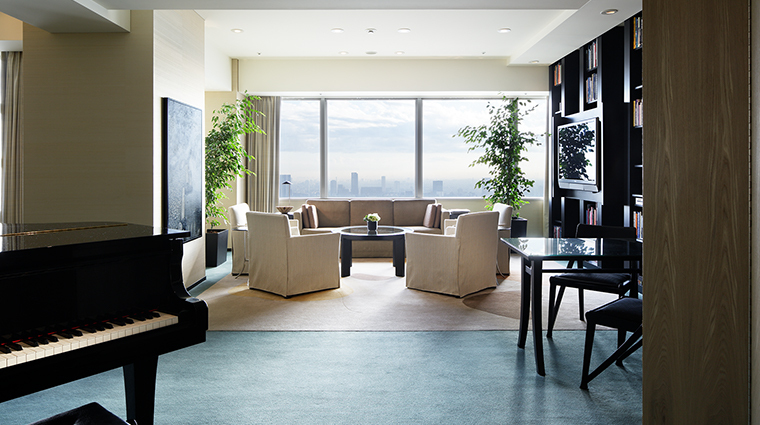 Inside the Tokyo icon, guests encounter dazzling views of the city from its lobby in the sky, plus stylish rooms, a lavish spa and celebrated restaurants. This cinema star is everything you'd imagine it be, a perhaps even a bit more. 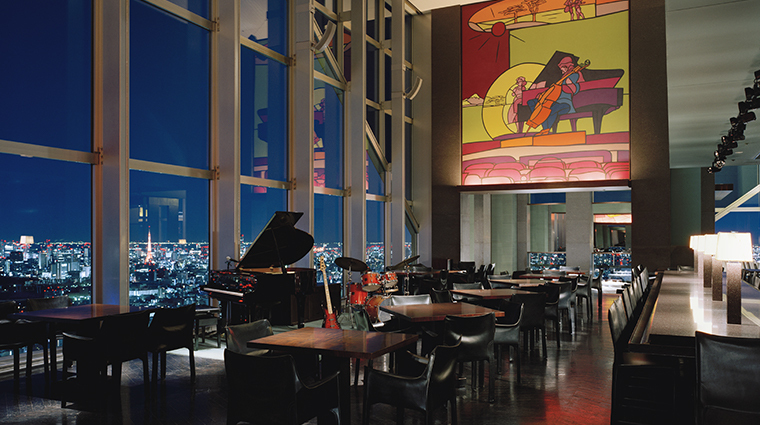 • The 52nd-floor New York Grill lives up to its reputation with flourishes like martinis that come with a side dish of olives, over-the-top bar snacks like Japanese prosciutto and shrimp-flavored popcorn, and exceptional live jazz almost every night. 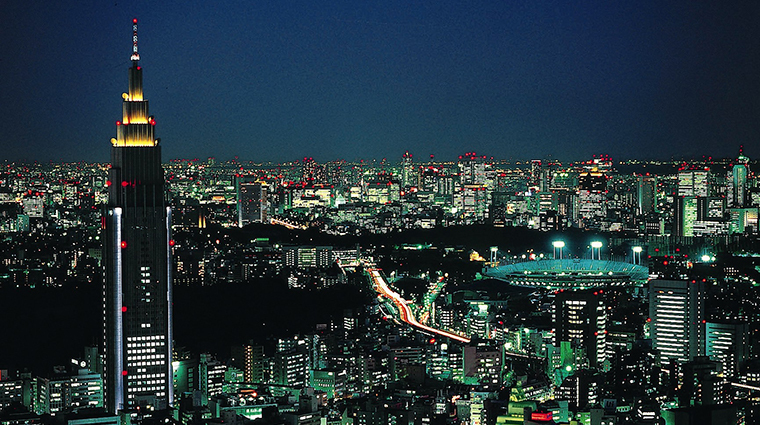 (The skyline views at night are simply stunning, too). 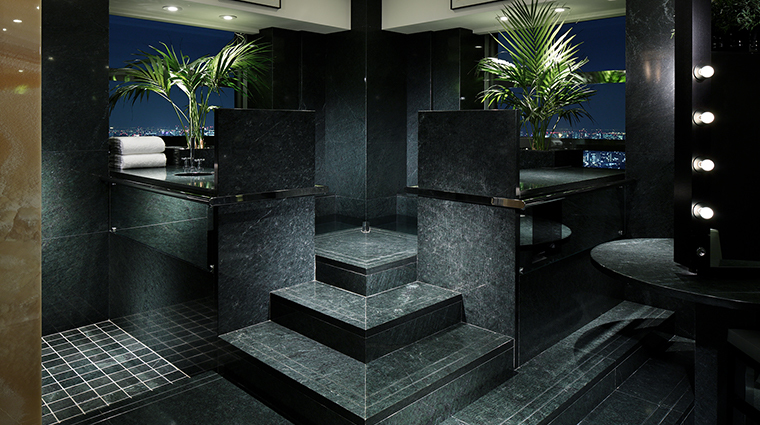 • Don’t leave the hotel without seeing the sweeping 22,000-square-foot Club on the Park, a grand spa and fitness facility located on the 45th and 47th floors. 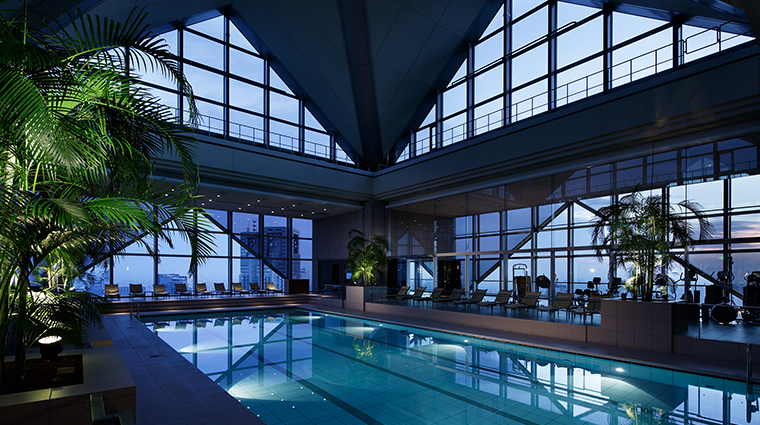 • Take a dip in the 65-foot swimming pool — surrounded on all sides by floor-to-ceiling windows — in the early morning or at sunset, when Tokyo’s neon lights compete with sunlight dancing on the neighboring glass towers. 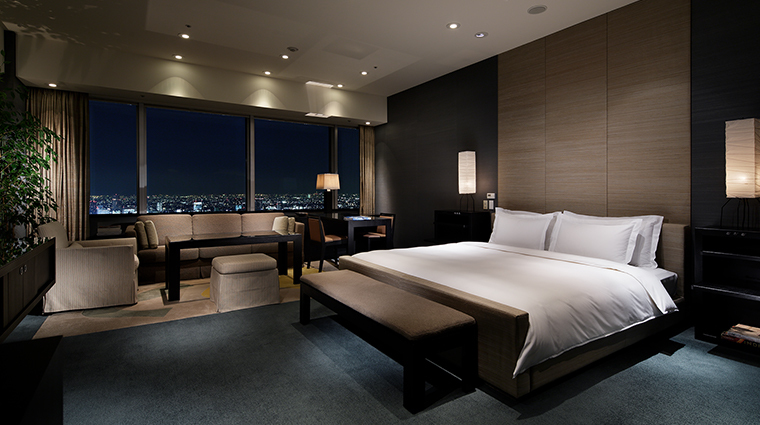 • Every room comes with an outstanding view — of the bustling metropolis, Mount Fuji or Kanto Plain. 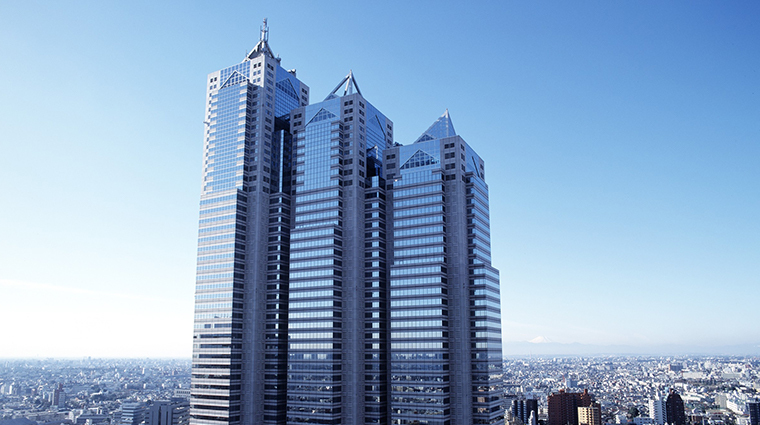 • Ken Ichiro Ooe has been the chef at Japanese restaurant Kozue on the 40th floor since the Tokyo hotel opened, and he changes the menu every two weeks in accordance with Japan’s 24 seasons. 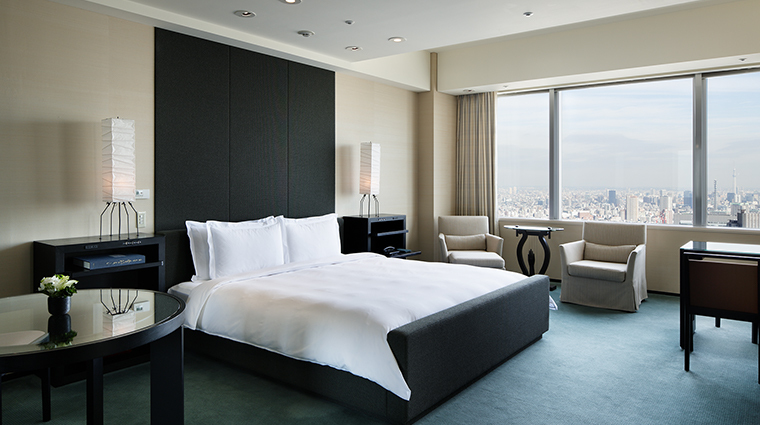 • About 80 percent of guests are foreigners — the luxury hotel has long been a favorite among film stars and CEOs — but it’s common for Tokyo residents to book a room for the weekend and never once leave the property. • The spa's facilities are expansive and include whirlpoos, dry and wet saunas, cold plunge pools, relaxation rooms and a luxe locker room. Keep in mind hotel guests have complimentary access to the Club on the Park, but will need to pay an additional fee to use the spa facilites. 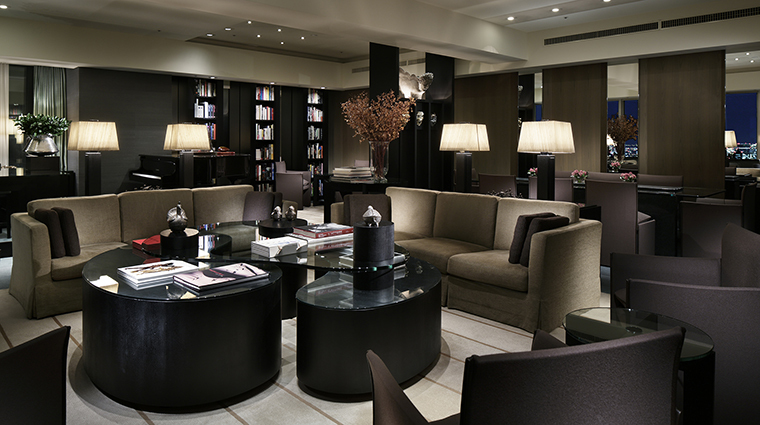 • Park Hyatt Tokyo does not allow pets to stay at the hotel, save for necessary service animals. • By Asian standards, a hotel with just 177 guest rooms seems a bit on the smaller side, but rooms are large, starting at just under 500 square feet. • Each guest room has the same clean neutral color scheme and is designed to feel like home with original artwork and a selection of hardcover books found above the minibar. Bathrooms have deep soaking tubs and 15-inch TVs. • An emphasis is placed on comfort rather than frills. Instead of fluffy throw pillows or other splashy décor elements, the focal point of bedrooms is the 2,000-year-old water elm headboards from Hokkaido, Japan’s northernmost island. 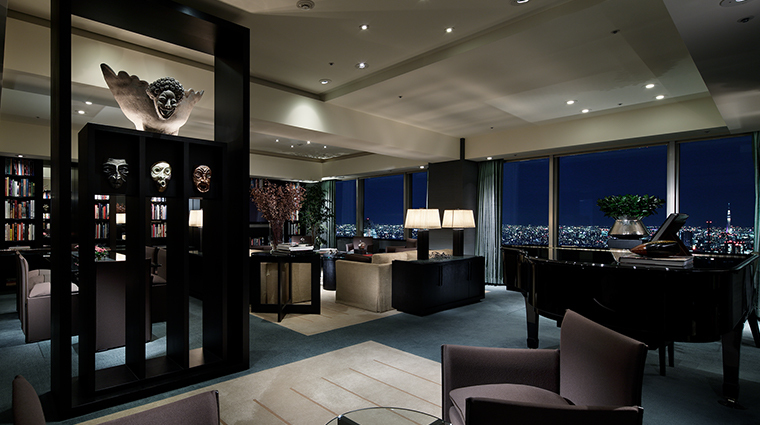 • Occupying the top 14 floors of the 52-story Shinjuku Park Tower, the Park Hyatt is the city’s first skyscraper hotel. Even before guests receive their sterling silver room key ring (no key cards here), they’ll find thoughtful touches that can often skew high-tech. • All of the contemporary guest rooms are adorned with bold original artwork and have Japanese fabrics and books to contemplate.